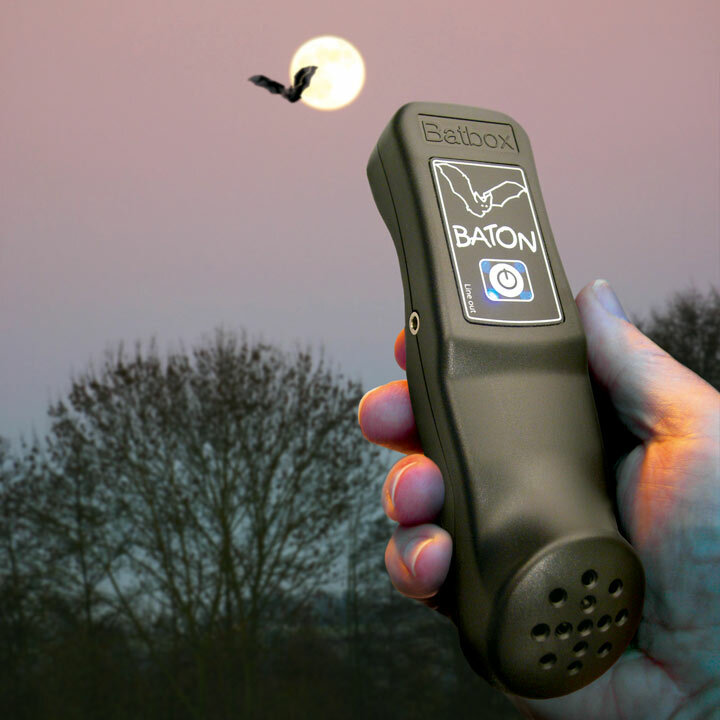 The Baton is a simple but versatile bat detector having a monitor speaker allowing reduction of frequencies between 20kHz to 120kHz. The division factor is 10, reducing the sounds of a 50kHz bat to 5kHz, within the range of human hearing. The unit comes with a version of BatScan sound analysis software, developed especially for the Baton. In addition, if attached to the soundcard of a computer by a stereo lead from the ‘line out’ of the Baton, it will produce real-time sonograms, allowing detailed analysis of calls when used with BatScan software. The Baton retains the original amplitude of the calls recorded, allowing 3D analysis of bat calls. (time, frequency and intensity). Calls can also be recorded on other devices such as MP3 or minidisc for later analysis. MP3 files will have to be converted to WAV files before Batscan will be able to load them. The Baton is also ideal for listening to grasshoppers and crickets whose communication is in the upper part of, or above human hearing. One PP3 9V battery lasts for up to 30 hours.